yeah thats the only problem, im gunnah try and find a clearer or bigger picture, if i do ill upload it. There is something there though and im sure its a girl and a woman. couldnt make out the woman and girl though? I think I see where the girl is but can't make out a woman. to the left of the apparition. I really can't make out a face on her though. I do see numerous faces throughout the picture. its not too clear but if you look there is a tallish woman and just below her it seems that there is a child...i cant be sure on the child bit but i deffinetly no that the woman is there. The picture is hardly crystal clear clarity and people also have a tendency to point out images and things that are nothing more than random shapes in a picture. I have noticed many things in pictures, curtains you name it if you keep concentrating enough on the subject matter it means nothing at all! 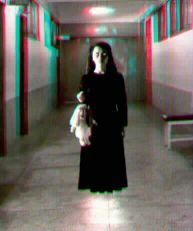 It is a very common mistake that constantly arises in ghost photography. 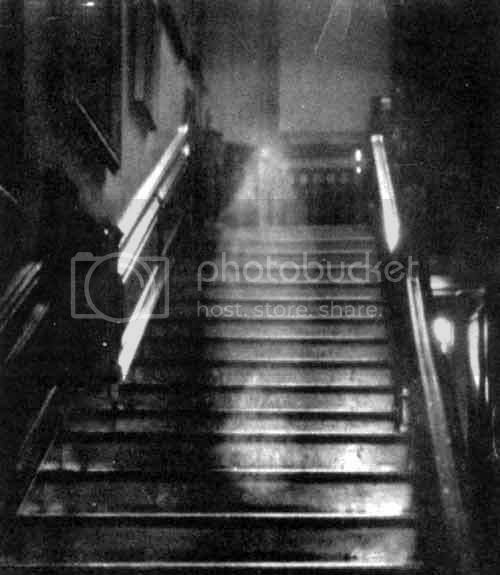 This picture is taken at Rainham Hall and it also has two children that haunt it. So this famous picture could really be genuine. This picture is a classic and has been debated for many years. The general consensus among the likes of Prof Richard Wiseman, Prof Christopher French and Gordon Rutter (and me) is that the Brown Lady is actually light leakage onto the film. At least this is from the days before Photoshop! Light artifact or light leakage? Possibly, but if it is then it is in a pretty coincidental place. Hard to tell properly but isnt that pretty tall if it was a ghost?